2018 Venus Passage in Bible Prophecy?! 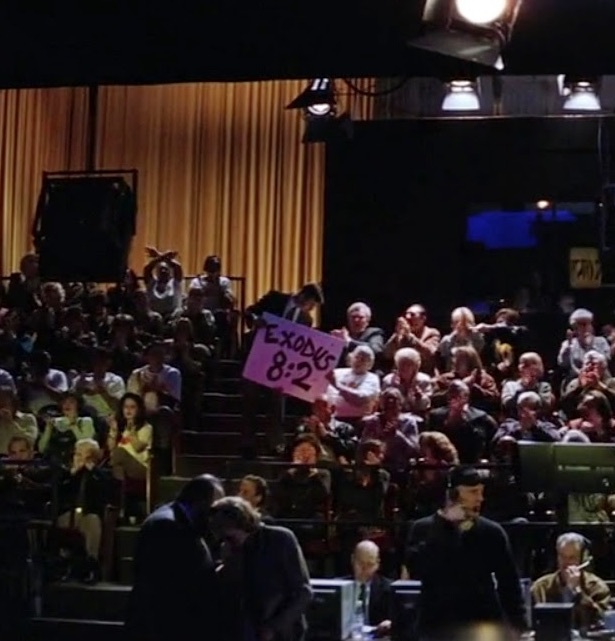 In the wake of the re-examination of the phrase “John 3:16” surfacing in the Aaron Hernandez suicide, here’s an overview of Exodus 8:2 that was so prominent 18 years ago in Magnolia. 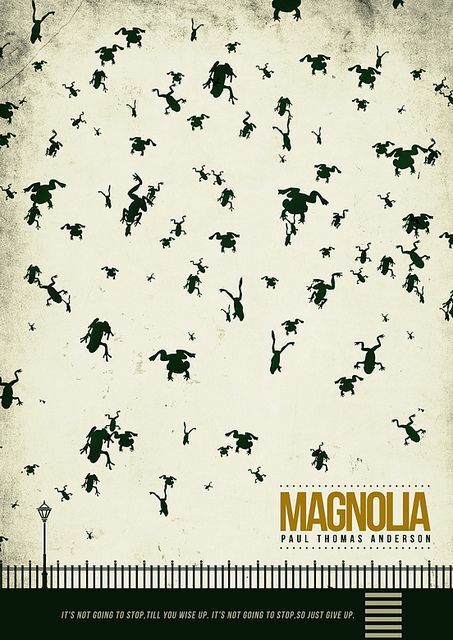 Magnolia (1999), directed by Paul Thomas Anderson. 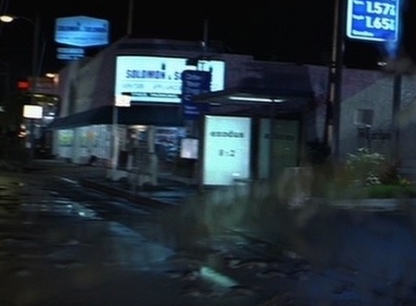 Miami Herald published many screen captures of “82s” in Magnolia. And if you refuse to let them go, behold, I will smite all your borders with frogs. The film has an underlying theme of unexplained events, taken from the 1920s and 1930s works of Charles Fort. 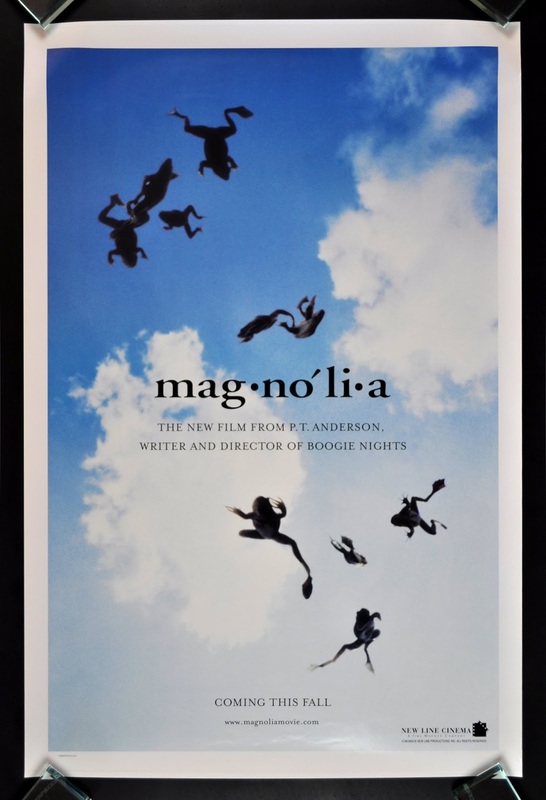 Fortean author Loren Coleman‘s 2001 book Mysterious America: The Revised Edition includes a chapter entitled “The Teleporting Animals and Magnolia”, addressing the film. The chapter discusses how one of Fort’s books is visible on the table in the library and the movie’s end credit thanking Charles Fort. The only character who seems to be unsurprised by the falling frogs is Stanley. He calmly observes the event, saying, “This happens. This is something that happens.” This has led to the speculation that Stanley is a prophet, allegorically akin to Moses, and that the “slavery” the film alludes to is the exploitation of children by adults. These “father issues” persist throughout the movie, as seen in the abuse and neglect of Claudia, Frank, Donnie, Stanley, and Dixon. Source. An authentic falling frog prop from Magnolia seemed an important item for me to preserve for the Museum I founded. 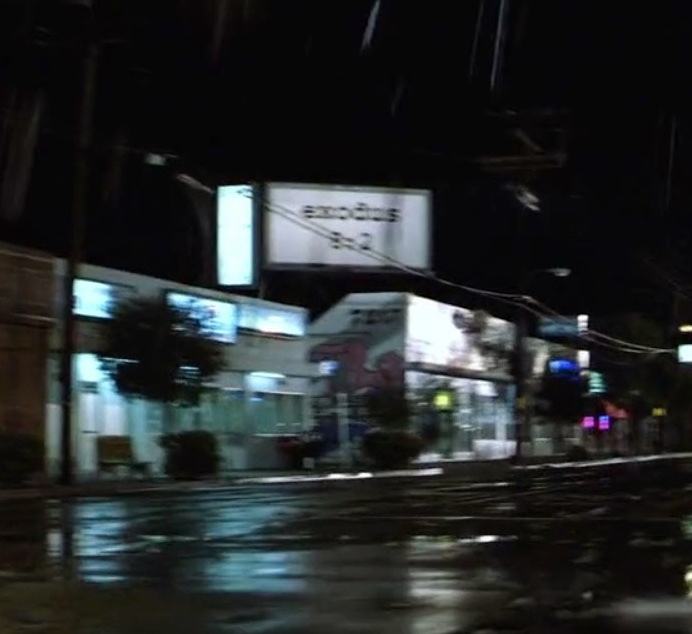 The actual number of characters in Magnolia reflects the 8:2 numbers. 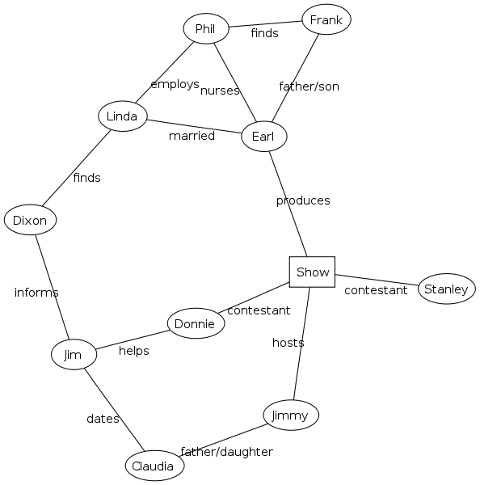 There are 10 characters, consisting of 8 children/relatives and 2 fathers (Jimmy and Earl), which is possibly significant given that their particular relationship is central to the film. Source. 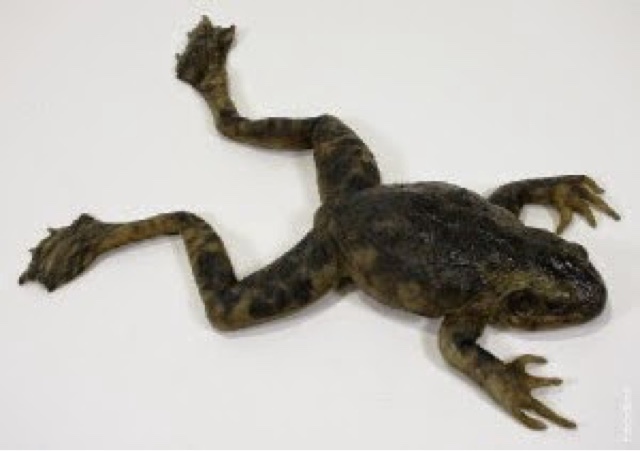 August 2 (8/2) does not ring a bell, yet, as far as having a fall of frogs. 1964 – Vietnam War: Gulf of Tonkin incident: North Vietnamese gunboats allegedly fire on the U.S. destroyer USS Maddox. 1973 – A flash fire kills 51 at the Summerland amusement centre at Douglas, Isle of Man. 1998 – The Second Congo War begins. Eighteen years have passed since the film was shot and released. Perhaps, unconsciously, the 8:2 pattern has been a living sync. Who knows?